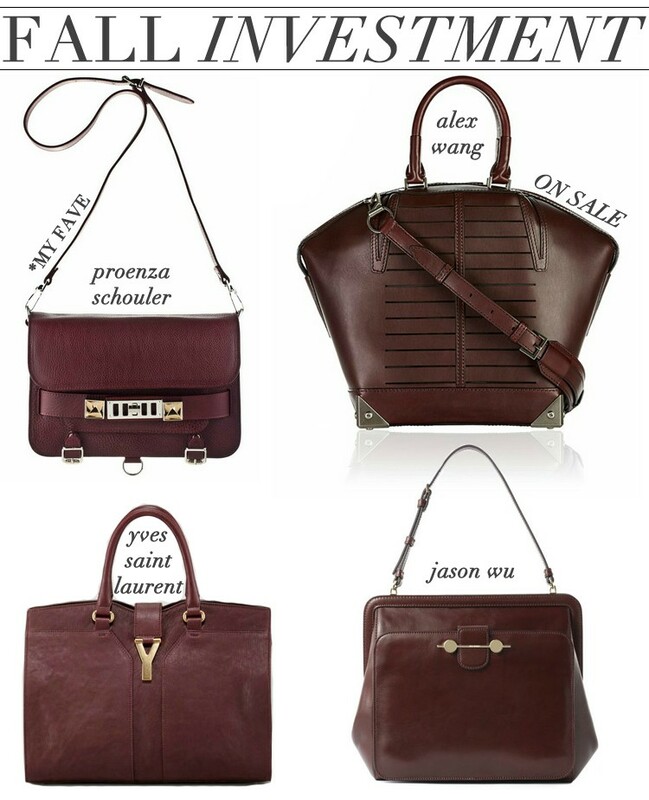 The biggest item on my fall wish list (and hopefully my next investment) is a big bordeaux bag. This rich hue is the top pick come autumn so you should definitely get on board with this trend! My favorite is the PS11, but this Alexander Wang sale piece is mighty fine too.